– Fixed a crash during end turn cycles, noticeable on Xlanhuapec’s turn. – Fixed an audio crash in a battles. – Fixed spell casters being able to spam projectile spells while mounted on horses or pegasus, during battles. – Optimised performance of Great Incantation of Khsar Rites sandstorm in Campaigns. 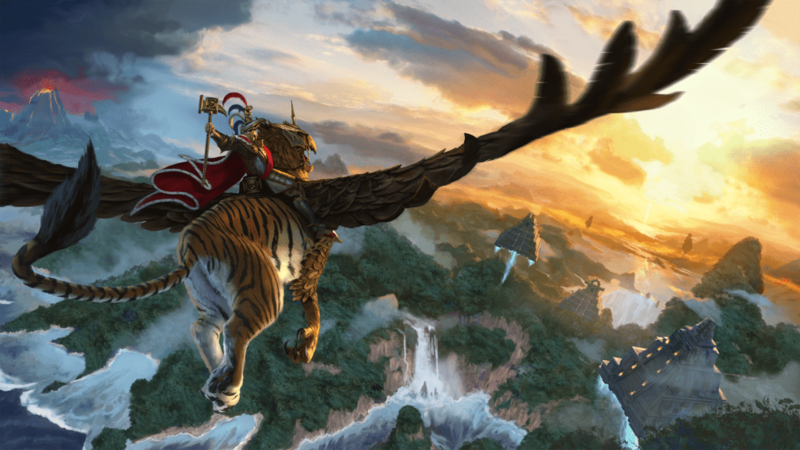 – In Mortal Empires Co-Op Campaign, Arkhan and Settra can now engage in diplomacy with each other. – The number of Preset Army Setups that can be saved in Multiplayer has been increased. – The Kephra Guard Regiment of Renown unit will no longer be recruitable multiple times. – Prevented the Chaos invasion appearing and killing the rogue armies with Books of Nagash and aborting the players mission to attain them. – Increased the limit of Canopic Jars (so players can get more Crafted armies from the Mortuary Cult). – Added more voice over to Tomb Kings skeletons during battle. Clacketty-Doot! – Fixed a progression blocker caused by entering a new campaign as a Tomb Kings faction, then entering diplomacy by double clicking another non-Tomb Kings faction’s settlement on the Overview Map, then offering them a diplomatic deal. – The “Heralds Empowered” Tomb Kings technology can now be unlocked by completing only the final Dynasty instead of all Dynasties. – When single entity units are fighting in battle, they will no longer disengage so often, which replenished their charge bonus incorrectly. – Fixed a bug where the “Awaken” button in the Mortuary Cult on “A New Dynasty” didn’t activate until the next turn. It can now be activated when the resources are gathered. – Added Heroes to the Tomb Kings Garrisons. – Tomb Kings Legions of Legend units are now correctly affected by Lord’s red skill tree buffs. – Fixed some flickering on the Campaign Map terrain on certain graphics settings for GTX 980 graphics cards. – Necrosphinx and Hierotitan masks will no longer flip around during battle. – Fixed a weird bug where Khalida’s staff would appear on random impacts during battles. I mean how does that even happen? Baffling. – The Victory message at the end of Campaigns is now displayed correctly. 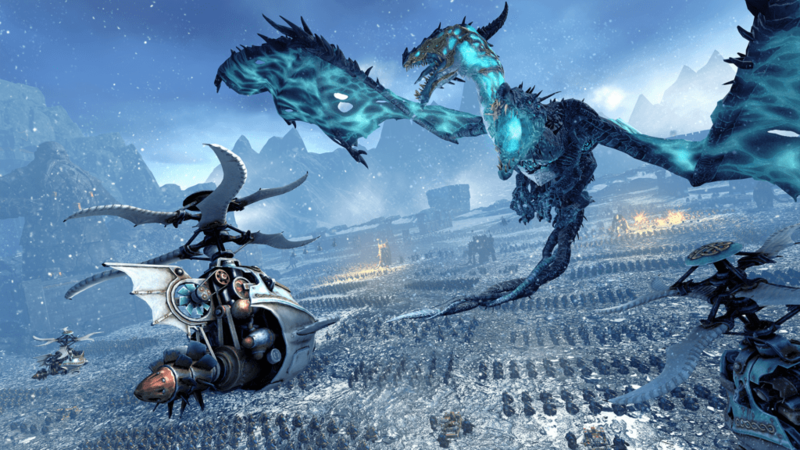 – Rogue armies carrying a Book of Nagash will now stop following their patrol path and attack anyone who declares war on them. 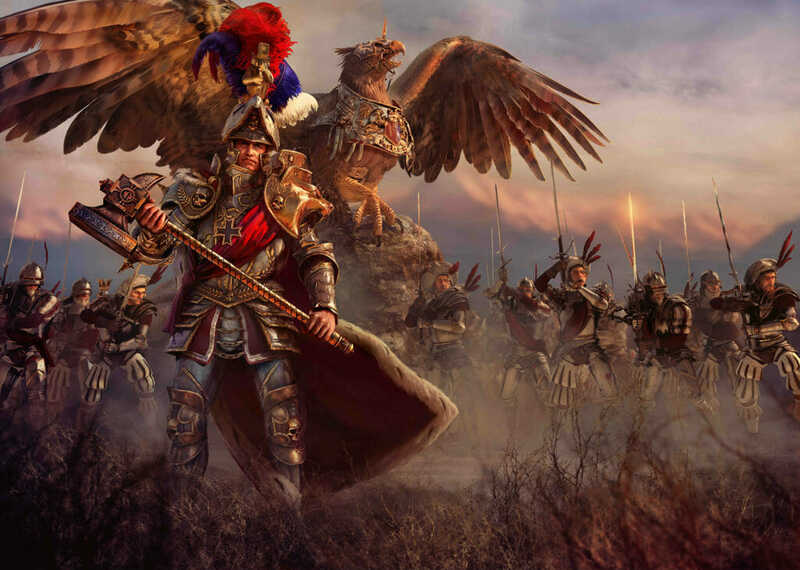 – Fixed the Bretonnia garrison building getting worse cavalry units per upgrade. – Fixed some Vampire regions not having any Vampiric corruption in the Mortal Empires campaign. 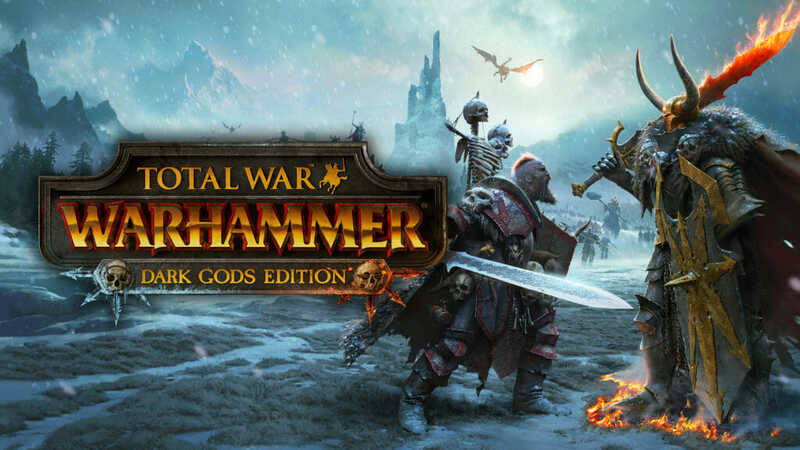 – Tomb Kings Monsters can now be scaled up in The Laboratory Mode. – The Dark Side of Morrslieb achievement has been fixed. – Modding: Fixed the dynamic script-loading not working correctly. – Modding: Added Tomb Kings Prefabs to TERRY in the Assembly Kit. – Flagellants & Tattersouls: -3 base damage, +4 ap damage. – Waywatchers: +1 second reload time, reduced projectile mass (cavalry has an easier time catching the unit), reduced accuracy (mainly noticeable at max range against small targets), Hawkish Precision reduced to +15% ap missile damage. – Grail Relique: -50 mp cost. – Orc Arrer Boyz, Savage Orc Arrer Boyz: -1 missile damage, +1 ap missile damage. – Darkshard (Shields): +25 mp cost. – Queek: -50 mp cost, +4 bonus vs. infantry. – Warlord Bonebreaker: -50 mp cost. – Centigors Throwing Axes: -2 ammo, Removed splash attacks. – Centigors: Removed splash attacks. – Loremaster of Hoeth: -50 mp cost. – Skink Chief: +50 mp cost on foot and terradon. – Rev Bastiladon: +25 mp cost. – Feral Cold Ones: +4 charge bonus. – Feral Bastiladon: +4 charge bonus, +4 MD. – Grail Guardians: Can now use Lance Formation ability. – Dragon breaths: +7% projectile damage and projectile ap damage. Slightly improved accuracy of Star Dragon breath. – Lance Formation: removed negative stat modifiers. – Murderous Prowess: +30% vigour changed to +18% vigour. – Murderous Mastery: +30% vigour changed to +18% vigour. – Old Grumblers: +18% vigour changed to +9% vigour. – Regrowth & Upgraded: +1 mana cost. – Fate of Bjuna: +2 mana cost. – Savage Dominion: +4 mana cost. – Fiery Convocation: -1 mana cost. – Fiery Convocation Upgraded: -3 mana cost. – Liber Bubonicus: -5 secs duration.